Remember the story of Icarus? The boy who flew too close to the sun? He is often used as an example of excessive hubris. By not heeding to his father Daedalus's warnings, his wax-and-feather wings melted as he soared towards the sun, causing him to perish in the ocean below. Although pride is considered to be his downfall, there was no vanity involved in Icarus's flight. It was pure exhilaration that brought him towards the sun. He had harnessed powers incapable of any man and the sensation as ecstasy and adrenaline rushed through his body hindered his judgment. He was now equal with the gods and he did not know how to handle it. Like people who win the lottery and end up going broke, there is a responsibility that must be maintained with a sudden influx of power. Poor Grover. Through some as yet undiscovered means, mild-mannered Grover Kent had become blessed (cursed?) with the powers of a superhuman. Great strength, quick reflexes, and, yes, flight. Being Grover, he vowed only to use these powers for good. But even with the best intentions in the world, it can take a long time to adjust to newfound abilities. He's great at takeoffs. Landings, not so much. Like Icarus, the proper mechanics to a successful flight are lost on the young monster. He causes more catastrophic destructions by performing his signature entrance than the Kool-Aid Man. Fortunately, he has the resolve (and durability) to survive his brushes with death and can focus his energy on solving crises. Unfortunately, he retains the wisdom and attention span of a perpetual 4-year-old, so any problems that his powers could help solve are lost on those in peril. In every scenario, Super Grover's presence goes unappreciated as the victims are able to solve their own issues. 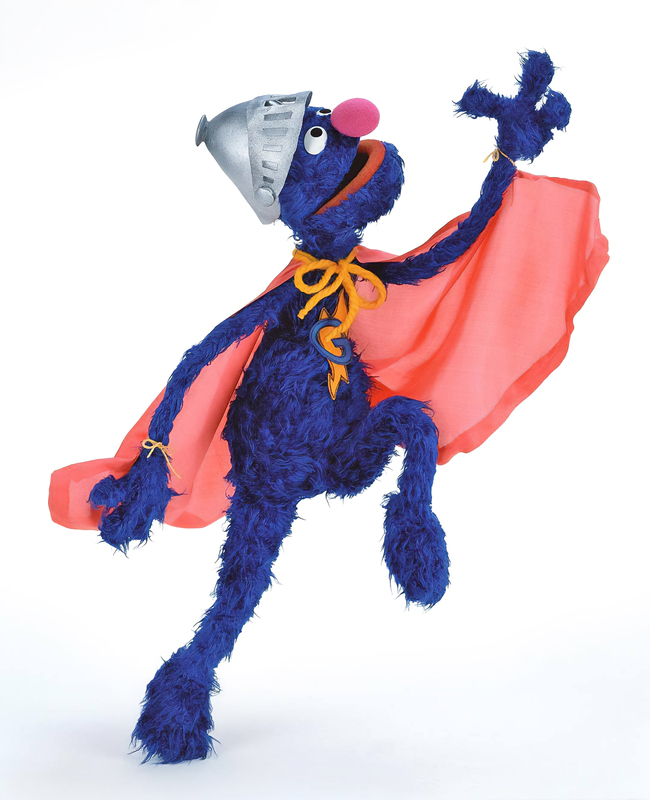 Super Grover, at his best, is an individual who steps aside to let things sort themselves out. It should be noted that he is rarely at his best. By entering these situations, he causes more harm than help, causing the citizens of Metro City to dread his arrivals, rather than welcome them. Take the next scene, for instance. A young boy refuses to get a haircut for fear that it will hurt. Grover, having never received a haircut, agrees with the boy's logic and instructs him to fight through the inevitable pain. Not only does Grover's advice assuage the boy's fears in any way, it also informs the children at home that, yes, the barbershop is a place to be feared. Had Grover not been granted these powers, he could have left well enough alone as the barber teaches us not to worry about a hair trim. But, some define fate has bestowed these powers upon him, and so, Grover has no choice but to abuse them. He does not intentionally flaunt his powers. Nor does he believe himself to be better than anyone else. If anything, he is the most noble creature who has powers such as these. But his nobleness relies on his innocence and his innocence stems from his lack of experience. While man may dream of god-like powers, they are not his to possess. To master a superhuman ability is to remove yourself from humanity. One cannot be both a human and a god. The inexperience of youth was Icarus's true downfall, and Grover maintains the awareness that he is still learning. These powers, while great, are not going to replace his education. So, while Super Grover may not have yet mastered his flying skills, at least he is able to stay grounded. And he stays cute, too.